A cane fire has burnt and damaged a wooden power pole that supports the high voltage 33,000 volts Rarawai – Vatukoula – Tavua transmission line. In a statement, Energy Fiji Limited (EFL) said the power pole poses an imminent safety risk and needs to be replaced immediately. The EFL team will be replacing the power pole with a new pole from 4:00pm to mid-night today, Wednesday 29th August, 2018. Tagitagi Area, Maqere, Qelela, Waikona, Matalevu, Yasiyasi, Whole of Tavua Town Area, Tavua Hospital, Higgins Depot, Yaladro, Malele, Davota, Balata, Toko, Matanigata, Vatukoula, MR Dayal Factory, Vuqele, Masimasi, Vunivaivai, Koro No 1&2, South Ridge Repeater, Korovou Weir, Taunabe Village, Nadarivatu, Nadala, Navai, Korosoi, Waimoqi, Yauyau, Soroni, Wainiqia, Tavurase, Lovo, Wailailai Settlement, Waidradra, Navosalailai, Vatusogo, Nadrano, Naga, Ravoravo, Nadrau, Nabawaqa, Naiyaca, Lewa, Lewavou, Buyabuya, Drala, Koro Village, Portal House, FSC Rakiraki, Part of Rakiraki inter-connector, Natokita Settlement, Togovere, Tuidreke, Draunivi, Fiji Pine Station, Yaqara, Quarry, Rabulu, Naseyani, Nananu, Korovou, Rakavidi, Vodafone Repeater, Mataniwai, Nabuna and the whole of Veisaru Area. EFL chief executive officer, Hasmukh Patel is seeking the understanding and cooperation of all our customers who live along the sugar cane belt areas or along the sugar cane farm residences to take precautionary measures when lighting up fires. “We humbly request our customers to refrain from burning cane and rubbish near our power poles, thereby ensuring continuity of power supply and causing expensive damages. 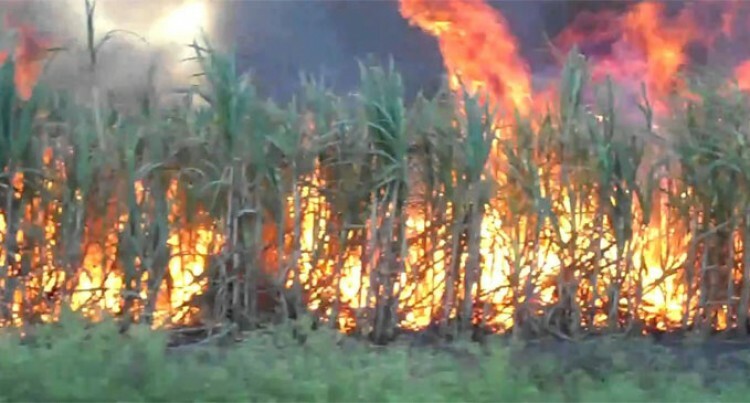 “Uncontrolled cane fires are the prime cause of damage to the wooden power poles. Apart from being dangerous and life-threatening, such fires cause unwanted power interruptions to our valued customers. “Anyone causing damages to the power poles as a result of burning cane or rubbish will be dealt with according to the law,” Mr Patel said. Customers are reminded to please call 132333 or 913 to report a fire near or on EFL power poles.